We love Summer, but the consensus around the office is "we're not into shorts" or not into "showing too much leg". So, what's a stylish girl to do when the mercury rises? We know there are more of you out there, so we compiled our favorite summer bottoms to add to your closet to beat the heat. Here are our favorite bottoms to keep you cool, especially when it's a scorcher out there. See our favorite bottoms that keep you cool! 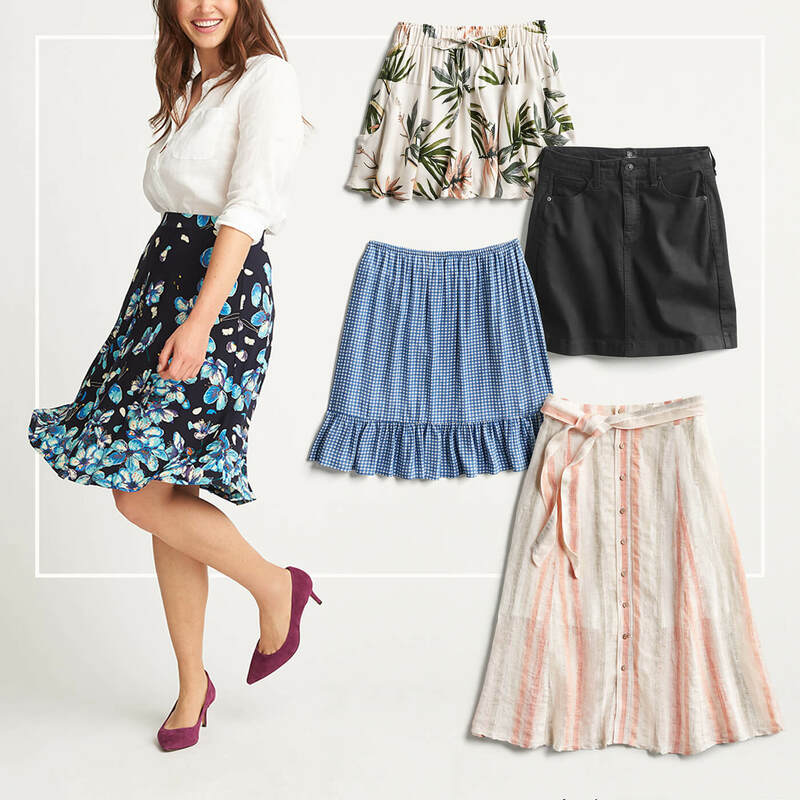 If you’re looking for a flirty & sweet piece that lets your legs breathe, step into an ultra femme skirt! Typically made out of cotton designed to keep you cool, this calf grazing piece is a chic way to escape pants! Dress it up with a button down and blazer for work, or down with a tank top (and denim jacket if you need!) for a picnic in the park. This is a no-brainer—it’s hot outside, so throw on some shorts. Expert tip for when the temperature gets out of control: wear a light colored fabric to keep cool. Darker colors tend to absorb light (as in the Sun) and make you feel uncomfortable. 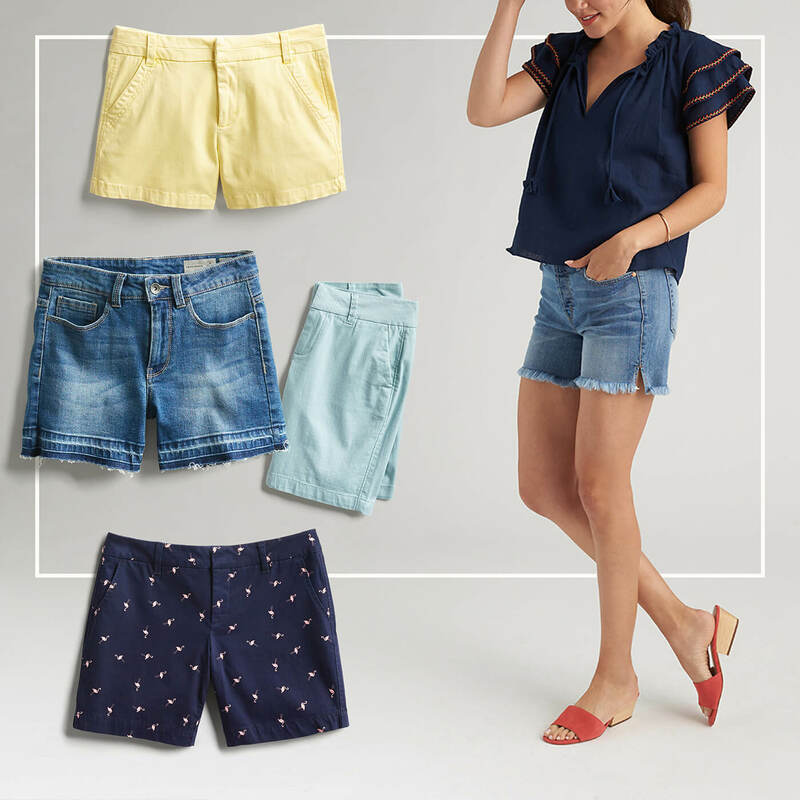 Stylist Bonus: Speaking of uncomfortable… if you’re #nervous about wearing shorts because they feel too revealing or you’re worried about the dreaded inner thigh chafe, try opting for a longer pair of bermuda shorts that have more coverage. 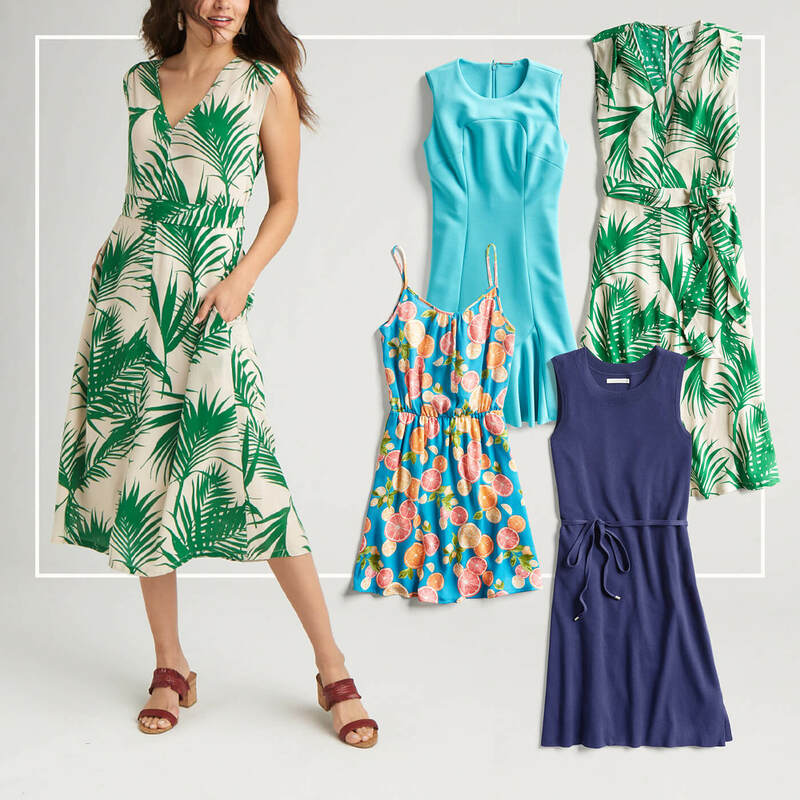 Feel the breeze around your knees in a very versatile sundress that’s great for any occasion. Throw it on over your swimsuit when you’re going to the beach, put a sweater on over it for a warm evening out with friends, wear it with booties and a cargo jacket for a casual Friday at the office, the list could go on forever but we digress. Wait a minute, didn’t we say ‘it’s too hot for pants?’ Well, yes. But sometimes they are a must (i.e. : an office dress code, or surprisingly chilly air conditioning). So if you must, we recommend opting for a breathable and loose fitted trouser—like a chino. If the #trending jogger doesn’t suit your fancy, go for a straight-legged chino that hits just above your ankle. What’s your go to for when it gets hot outside? Tell us below!